An isolated tributary of the Upper Bio Bio watershed flowing of the Northside of both Volcan Longquimay and Volcan Tolhuaca. In local Mapadungun language Lolco means Earth Water…. 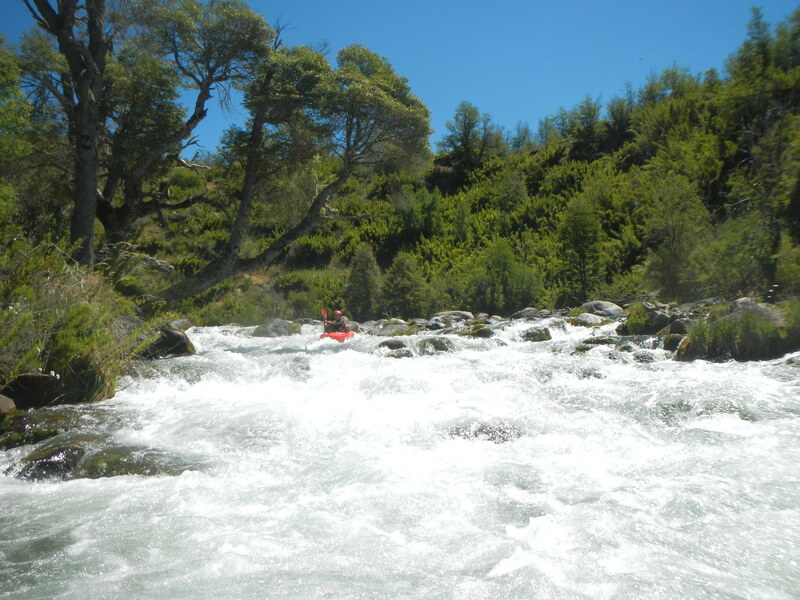 With a flow of around 500 CFS at takeout the Lolco provides an incredibly beautiful run through crystal clear watershed… Old growth Coigüe trees and the occasional Araucaria add to its surreal appeal. At put in the river is small but soon doubles with the combined flow of Rio de la Nalcas coming off the flanks of Volcan Tolhuaca. The run is for the most part easy class 3 but there is one one class 4+ canyon about 4 km into the run which features one very distinct drop the is both un-scoutable and un-portagable… On our first descent run in December 2016 this rapid caught us off guard but luckily caused no major problems. 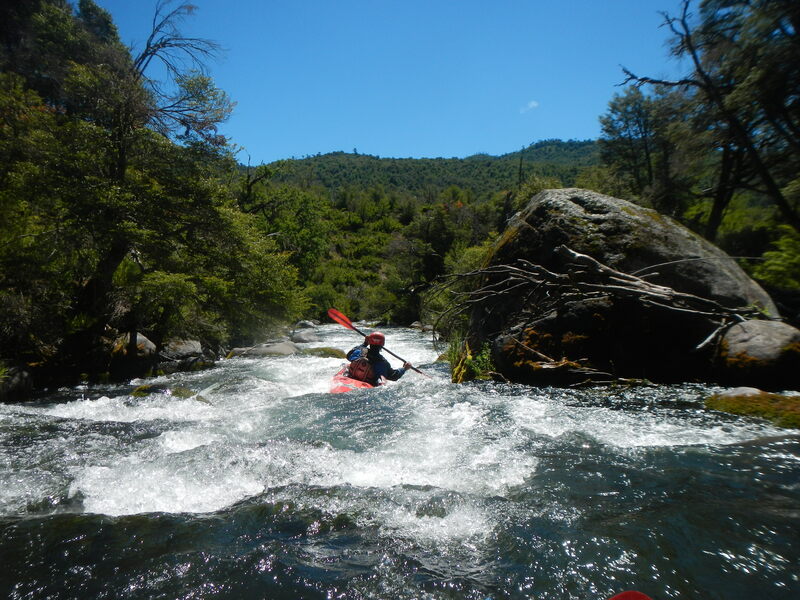 Soon after the river enters a black walled canyon the whitewater picks up with the crux being a right to left boof landing in a a mini cavern… The exit is less than a meter wide and at high flows might become terminal.